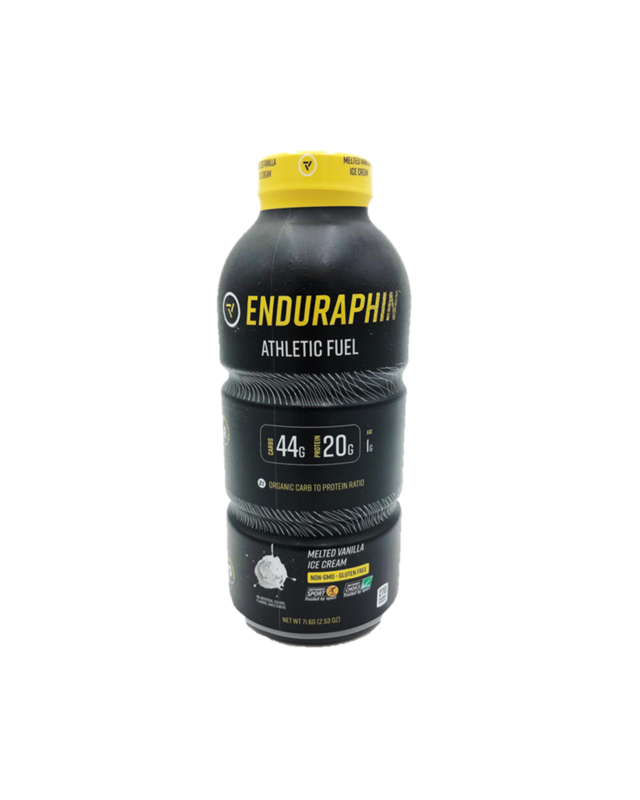 Enduraphin Athletic Fuel features organic carbohydrates derived from tapioca, brown rice, and sweet potatoes and whey protein isolate as the first protein ingredient. This 2:1 organic carb-to-protein ratio supports glycogen level restoration and muscle recovery. We use natural flavors and stevia leaf extract to craft a mouth-watering experience reminiscent of your favorite ice cream flavors. Not only does it taste great, but it also features an enzyme blend that supports effective digestion. There are no artificial colors, flavors, preservatives, or sweeteners. It’s also non-GMO and gluten-free. So yeah, only the good stuff. Enduraphin Whey Protein is packed with 25 grams of fast-digesting whey protein to support a quick recovery. With whey protein isolate as the first ingredient, we use natural flavors and stevia leaf extract to craft a mouth-watering experience, reminiscent of your favorite ice cream flavors. Not only does it taste great, but it also features an enzyme blend that supports effective digestion. There are no artificial colors, flavors, preservatives, or sweeteners. It’s also non-GMO and gluten-free. So yeah, only the good stuff. Informed-Sport is a global quality assurance program for sports nutrition products, suppliers to the sports nutrition industry, and supplement manufacturing facilities. The program certifies that every batch of a supplement product and/or raw material that bears the Informed-Sport logo has been tested for banned substances by LGC's world-class sports anti-doping laboratory. To deliver convenient, quality nutrition to collegiate and professional athletes. These products have been certified with Informed-Sport. For more information please visit informed-sport.com. Check your email for cool news and updates on Enduraphin!